Recently I was invited to a wonderful blogger feast hosted by Scholastic in which I was able to meet and interview the very lovely debut YA author of Seven Days, Eve Ainsworth. Eve has written a wonderful novel, Seven Days, and it was a pleasure to meet her and hear her speak about her book with such enthusiasm. And today, for the Seven Days blog tour, I am sharing the video interview with you! We discuss all sorts: secondary characters, difficult topics, the hopeful ending, getting feedback from readers and other UKYA in 2015. Check it out below. Life is hard for Jess. School should be a safe place but at the moment it's everything Jess dreads, and it's made even more difficult by the threatening presence of Kez. Kez lives in a nicer part of town but her life isn't any sweeter. The only place she finds comfort is knowing she is better off than Jess - or so she thinks. 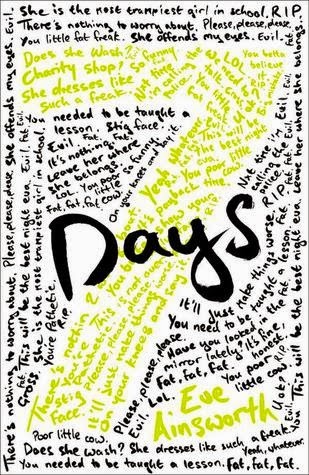 Seven Days by Eve Ainsworth was a really thought-provoking novel about bullying told from the perspective of both the bully and the victim. I thought it was a very interesting book, one that had me hooked right from the start and I felt very emotionally connected to both main characters. I loved seeing the lives of both Jess and Kez in more detail and discovering how and why they both end up in the positions that they are in. Seven Days explores friendships and school and family and also self-image and how each of these things has an impact on Jess and Kez's lives. Jess is quite clearly a victim because of her weight and appearance and while Kez is Jess's bully, she is also a victim and it was interesting to see Kez so sympathetically portrayed throughout. This book tackles some very serious topics in an honest and believable way. It's a fast-paced, emotional and surprising story and I highly recommend it! 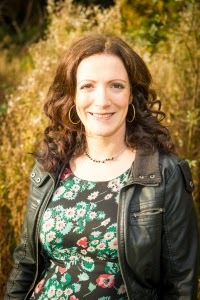 Eve Ainsworth is a writer of Adult and YA fiction. She also loves tea (lots of it), 80's music and most things relating to The Beatles. Seven Days is Eve's Young Adult debut and will be published by Scholastic Uk in Feb 2015. The Blog of Maisy Malone is a adult comedy novel that has received pleasing reviews on Amazon. Eve has had short stories published in magazines such as Writers' Forum and Prima. She is now working on her second YA novel for Scholastic, to be published in 2016.